Nothing attracts high quality readers like high quality content. I don’t know about the queen and Princess in a blog, but I am very sure that content is the king. 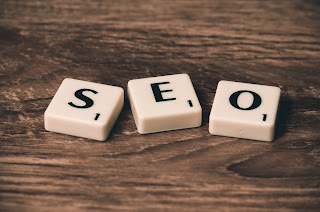 Just as readers reward high quality content with natural backlinks, so also Search Engines love blogs that continually create great and high quality content. Creating content is very easy; Any blogger can do that. Creating a high quality blog post? This is where the big Challenge lies. Not every blogger can do that. Now back to the title; How To Write A High Quality Content And SEO Friendly Article For Your Blog. You may be wondering, is high Quality content not equivalent to SEO friendly content? Not really. High quality content means beauty, however, you cannot be said to be beautiful when nobody sees you. This is were SEO comes in. In this article, I will give you 30 tips To Write High Quality And SEO Friendly Article For Your Blog. Make sure you take time to go through every line. Pick a title that will attract high click through rate (CTR). Let your introduction seek attention. Let your title agree with your content. Create an engaging content by introducing new concepts. Do a proper research before writing. Yesterday’s information cannot help you in today’s reality. Follow google trend in choosing your focus keyword. Don’t let the slug for your post be too long. Make sure your keyword appear in one or two headlines of your post. Write engaging articles by asking questions and seeking contributions. Don’t let your article be too long or too short. Average should be around 300 words. Write posts that large number of persons will like to search for. Include images in your blog post. Make your posts sometimes personal and interactive. Create share buttons so that others can share your articles on social networks. Be accurate while citing other blog posts. Don’t always copy from other blogs. Unique articles usually rank higher that plagiarized ones. Break your long articles down into small paragraphs. Don’t make your sentences be too long. Make your sentence easy for an average reader to understand. Always go through your articles once in a while for possible errors (which you didn’t detect during the writing process). Don’t write posts you are not sure of. Use beautiful languages and rhymes in your content where possible. Make proper use of Heading tags. Don’t let your headlines be too long. Where words can’t, use Images or videos to express yourself. Don’t put too many distracting adverts in your blog posts. Always update yourself so that you can write up to date articles. Always try to increase the quality of your articles. Make use of keywords research tools before writing your blog posts. CONCLUSION: High quality content invites high quality readers. However, when a high quality article is hidden, no one sees it. It is imperative that you write a quality and at the same time search engine optimized articles so that readers can find you.